Your own horse for 4 whole days!!! (Tuesday to Friday, with optional Monday). Ride in a Horsemanship Day and Picnic Trail Ride around the property and down to the Bombay Swimming Holes. Compete in a Gymkhana and Show Day - plus have a private half hour riding lesson each day. Spotlight native animals at night and watch some great horse movies. Recommended for girls 8 years and over. Your own horse for the weekend!!! Learn how to groom, saddle up, ride and drive a horse & cart. Play mounted games and party games on horseback. Spotlight native animals at night, go for a Picnic Trail Ride and practice competing in a horse show. Recommended for girls 6 years and over. Make any weekend a long weekend! Learn how to groom your horse, how to saddle-up and how to ride properly. Drive a horse and cart. Play mounted games and party games on horseback. Spotlight native animals at night, go for a Picnic Trail Ride and River Ride and practice competing in a horse show. And at the end of the weekend, receive a trophy or rosette! Recommended for girls 6 years and over. Bring up to 3 Friends for a Weekend of Adventure. Play party games on horseback, go on a spotlighting tour at night, eat pancakes for breakfast and go for a picnic trail ride around the property in the morning. From 2.30 pm Saturday to 11.30 am Sunday. Minimum of 2 riders. A sampler - Let us introduce you to the wonderful experience of horse riding. Meet your horse and make sure you’re comfortable before you take an escorted 25 minute ride through the bush, looking out for native animals and going over obstacles. Stop at the dam and let your horse have a drink. Learn how to groom, saddle-up, ride and drive a horse and cart. Practice your new skills in a mini-gymkhana, learn about the points of the horse and receive a trophy or rosette at the end of the day! With our 4 ponies & horses, trained and purchased with the right temperament for the task, you’ll work through our systemised training program. You'll be riding confidently and effectively within 20 lessons – Guaranteed. The lessons are one-on-one so you’ll learn at your own pace, and you’ll have your instructor’s absolute focus. We’ll record your progress in your Log Book, and when it’s complete you’ll receive a Graduation Medallion. We have a great system that we’ve been continually tweaking & developing for 18 years. It’s strongly based on the system recommended by Horseridingcoach.com. Natural Horsemanship concepts are woven in to the program too, so you'll learn just how soft, quiet and willing a great riding horse can be. We concentrate on Rider Bio-Mechanics first. Once you know what’s going on underneath you, and how your body balances with the movement – then you can start concentrating on giving the horse directions! Then we'll add jumps!!! The private lessons are half an hour of intense concentration, and cost $40 each. But if you pay for 5 lessons in advance you’ll receive a 6th one free, or pay for 10 in advance you’ll receive a free Day Camp of your choice or $140 off a Weekend Camp (usually $315). Exclusively for Braidwood Central & St Bede's School Students. We'll pick you up from school, sit down for a healthy/tasty afternoon tea, then we head out with the horses. Its a Mini Adventure Ride and then riding games in the arena to develop your riding skills - but most importantly have LOADS of Fun! 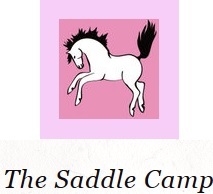 Great for groups or families who want to join in The Saddle Camp fun! You'll be camped with access to power and in close proximity to shared amenities. Bring the Tent, Caravan or Horse float - we take horses too! Let us know if you are bringing a horse along so we can book them into our small yard, larger shared yard or bring your own portable yards and we'll point you towards a fab spot catering to your needs.